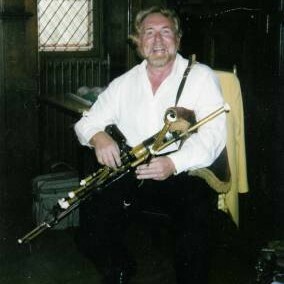 Traditional singer, multi-instrumentalist and uillean piper extraordinaire from County Down. 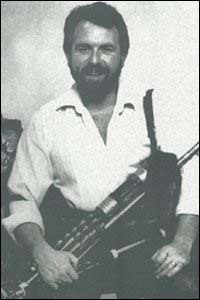 Paul founded the Belfast Piping School in 1974 and has played in many films and with international recording stars. Carrig is a group of musicians who are totally professional and have immense experience. They play Irish traditional music at its best, from slow airs, 18th century harp music, jigs, reels and hornpipes, to traditional and contemporary songs, from a subdued classical atmosphere to up tempo traditional or contemporary Irish rock. Carrig have toured for many years on the mainland of Europe, the Middle East, South Africa and the British Isles. Festivals include Fairport Convention’s Cropredy and Glastonbury. They play regularly at Irish centres, the National Theatre on the South Bank and corporate function venues such as the Hilton and Grosvenor House Hotels, Goodwood House and Castle Ashby. They have also performed at corporate events for organisations such as British Airways, Ryan Air, B & I Ferries and the Northern Irish Tourist Board. Winner of Junior International and Senior All Ireland Championships and Champion of Champions (Senior). 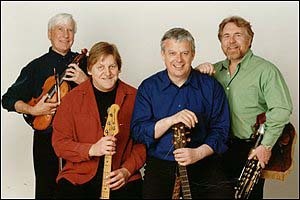 Numerous tours with Comhaltas Ceoltoiri Eireann, including North America, Australia and Europe, TV and Radio Broadcasts. Lectures on traditional Irish music at the Universities of Limerick and Cork. Popular teacher in the Irish Music Summer Schools. Started his career with Seventies rock band Magna Carta. He has played bass and keyboards with jazz, blues, country and folk including Slim Whitman and the famous band Pentangle. Has backed most well known instrumentalists. Founder member of Le Cheile, a renowned band of the Seventies. His intuitive feel for accompanying Irish music means he is much in demand. Album released 1999 ‘Bon Cabbage’. Co-founded Belfast School of Piping. One of London’s leading session musicians and live performers. As well as commercials and television work, his film credits have included composers and directors such as Ismel / Ivory, Neil Jordan, George Fenton, James Horner, Trevor Jones and Disney. He has been a soloist with the London Philharmonic Orchestra and the Royal Philharmonic Orchestra (Royal Albert Hall Proms – 1999). Worked and recorded with Fat Lady Sings, Kiki Dee, Jose Feliciano, Elton John, Pentangle, Dreadzone. Member of Incantation for two years. Co-arranged, developed and toured world-wide with The Rambert Dance Company’s ballet, ‘Sergeant Early’s Dream’. Part of a team of musicians who contributed to the development of Lord Andrew Lloyd Weber’s musical ‘The Beautiful Game’. Private performances for members of the British Royal family. “[they] were in my mind, the main reason for the success of the event……….I would have no hesitation in using them again or recommending them to others.” John Boland, Manager, Coopers & Lybrand Deloitte, London. “A huge thank you for an amazing performance. The band was truly extraordinary and finished the evening’s entertainment on a real high note. No mean achievement after appearing an hour or so after Bjorn Again and also a great disco. They got everyone singing, clapping and even twenty-twenty-year olds couldn’t resist dancing the night away. Superb, couldn’t recommend them highly enough.” Heather Vine-Hall, East Sussex. “One of the most exciting Irish groups in London” Richard Digance, Capitol Radio. “Soft ballads, slow airs, rousing reel sets, hope to see them back soon.” Ipswick Folk Club. “Your band gave us a wonderful start to our marriage. Our guests thought they were in Ireland. Our guests were dancing all night, they couldn’t sit down. Thank you so much. ” Dave and Carol M.